Kangana Ranaut starrer film Manikarnika: The Queen Of Jhansi Started with a Bang on First Day Friday and Collects massive 8.75 Cr Earnings in India. 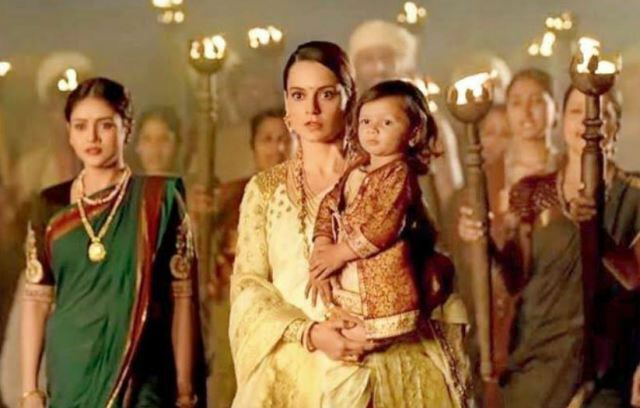 The film has started little Slow on Friday Morning shows but later, by following the Positive Public response Manikarnika just picked up towards evening. The film bags massive 8.75 Cr Box Office Collection on the First Day Friday and interestingly, Manikarnika will get the Republic Day Holiday benefits. The Film telling the real Story of Warrior Rani Laxmibai going to get the lots of appreciation on republic day. The film goers loved the Acting and performance of the Kangana Ranaut who played the real life Rani Laxmibai of Jhansi on screen. Also the Supportive star cast have done a marvelous job in their parts. Manikarnika 1st Day Friday – 8.75 Cr India Biz. Manikarnika: The Queen of Jhansi gets the trending Positive Public Response on Republic day as well and the Box Office Collection total till First Weekend will be eye opener for sure.